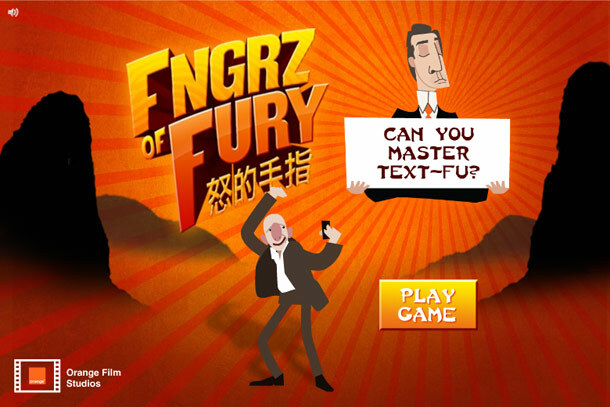 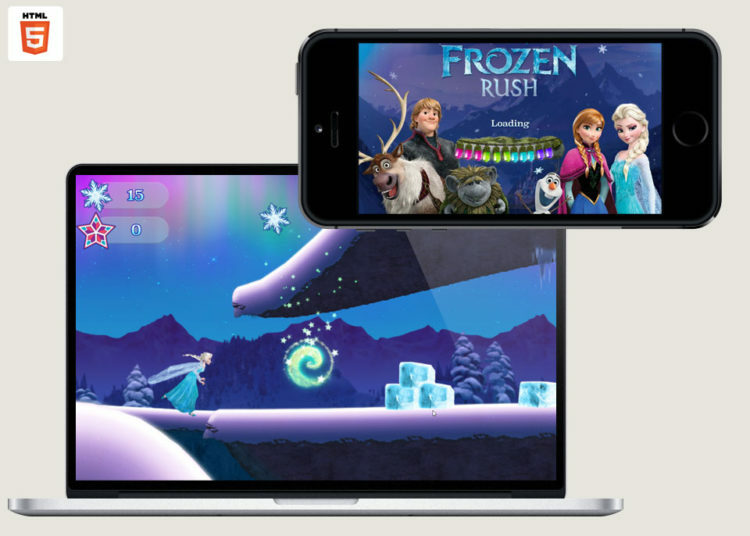 Can you master text-Fu? 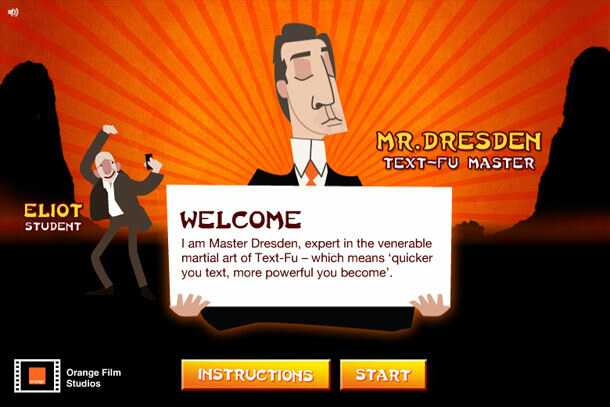 With Mr Dresden as your sifu, help Eliot learn the ways of speed-texting against some fearsome opponents including Cow-Bai Moo and Dragon Char Grill in this Poke co-production for Orange Film Studios. 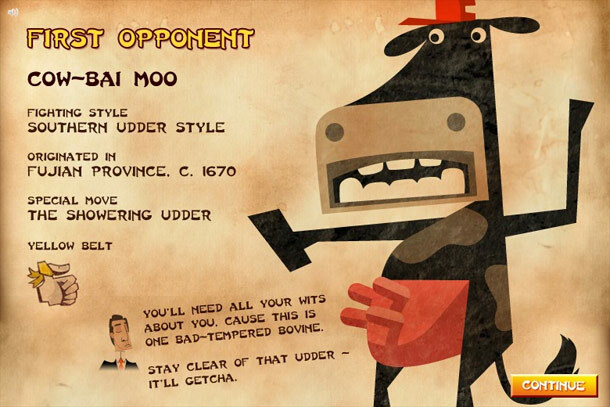 Progress through the levels to obtain your belts, then share them with the world on Facebook. 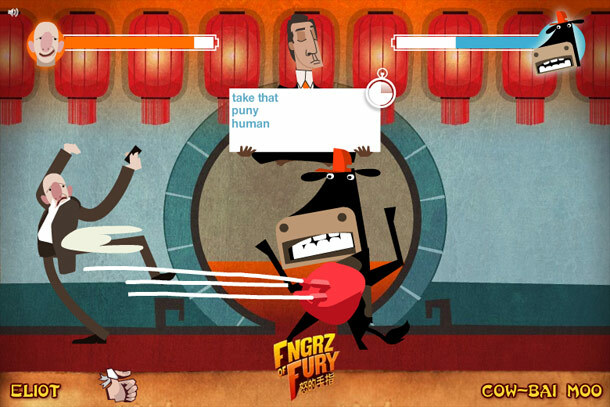 Fiendish typing and texting skills will be required if you’re to beat all five opponents as your text taunts become progressively more convoluted as the battles rage. 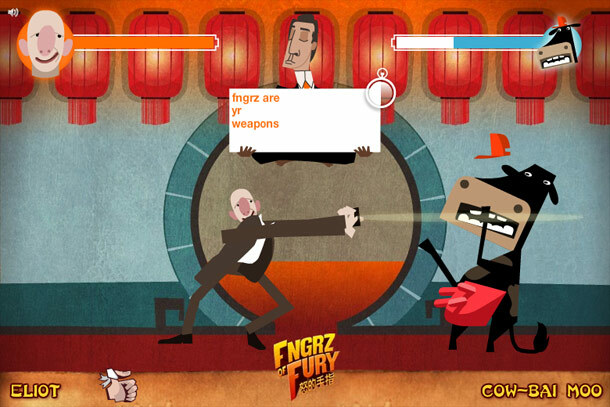 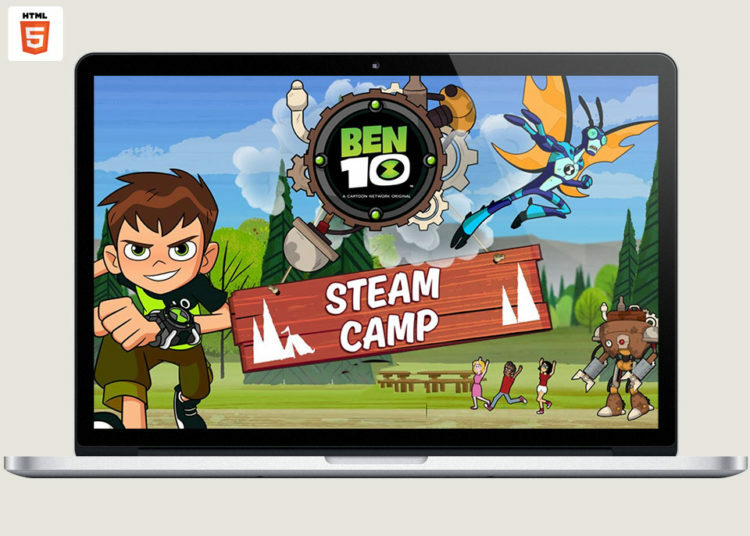 Fngrz of Fury features illustrations and animations lovingly crafted by RexBox.